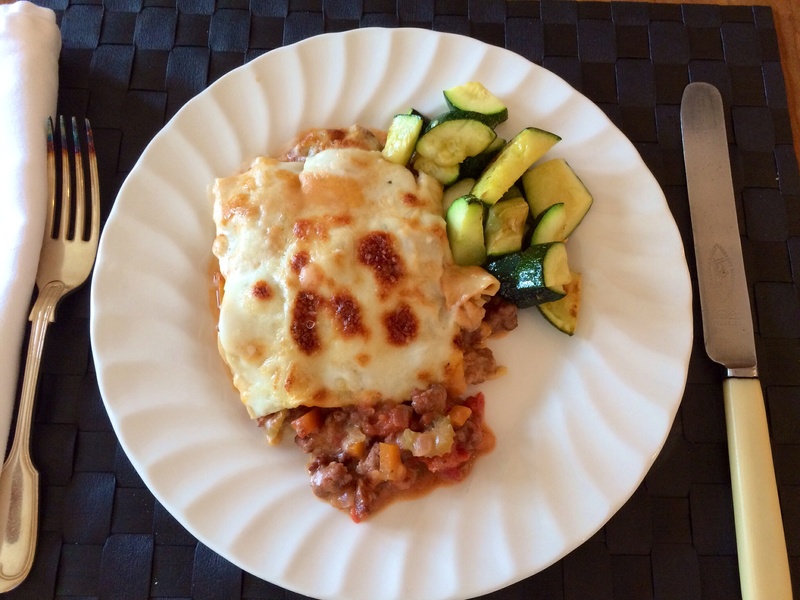 Turkey lasagne with roast tomatoes. The evenings are getting cooler and its nice to cosy up with something warm and comforting to eat in the evening. This makes a nice supper dish to eat with a couple of friends. 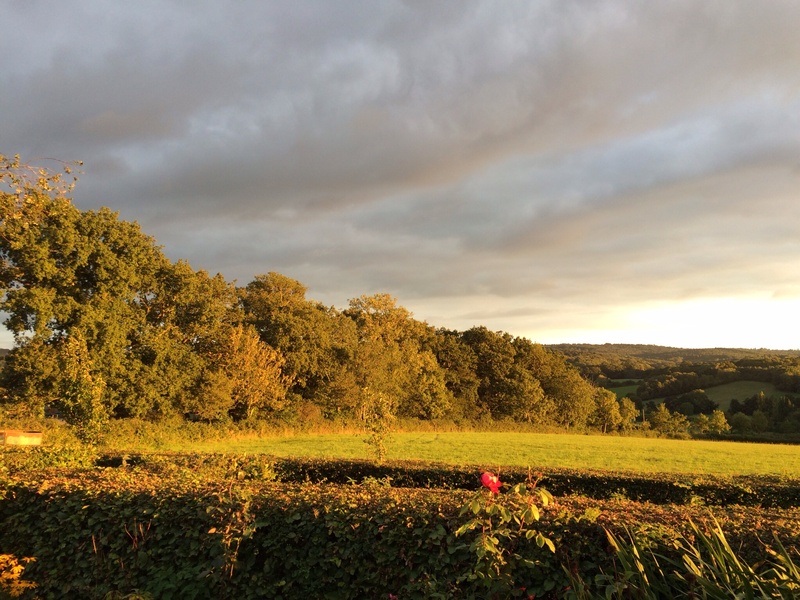 There are still tomatoes in the vegetable garden, and lots of carrots, onions and garlic to use along with fresh herbs. So I’m going to make a turkey lasagne, using some veg from the garden. 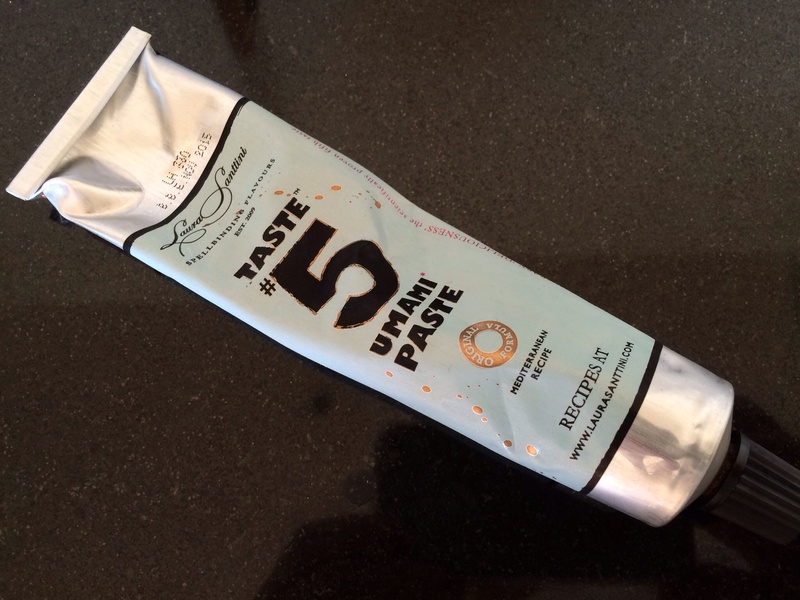 I’ve also some Umami paste which is a great Japanese seasoning made with anchovies, black olives and parmesan, balsamic vinegar to name a few of the ingredients . It gives a really good depth of flavour to this dish. It is available at most large supermarkets and is really useful to add to so many dishes, from soups to roasts, so when you see it buy it! I have a lasagne pan which measures 7″ x 9″ which is in fact the size of my lasagne sheets. Put the oven on 180c. When hot place the quartered tomatoes onto a baking sheet and sprinkle with a little sugar and sea salt and bake for 20 minutes. Some of the skins will have caramelised with the sugar. Heat a drizzle of olive oil in a large frying pan and add the turkey mince. Fry until browning slightly. Remove from the pan to a bowl, then gently fry the chopped onions, carrots, celery, garlic and mushrooms, adding a little more olive oil if necessary. Fry until the vegetables soften slightly and then return the meat to the pan, add the roasted tomatoes, the wine, 250 ml stock, oregano and the star anise and 1 teaspoon of Umami paste. Season with salt and pepper and allow to simmer gently and reduce for about 20 minutes. Make the sauce – add the milk to a saucepan along with the flour and whisk until the milk is warm and the flour is incorporated. Then add the butter and continue to whisk until the sauce thickens. Season with salt and nutmeg, add about two thirds of the cheese and stir until the cheese is melted. 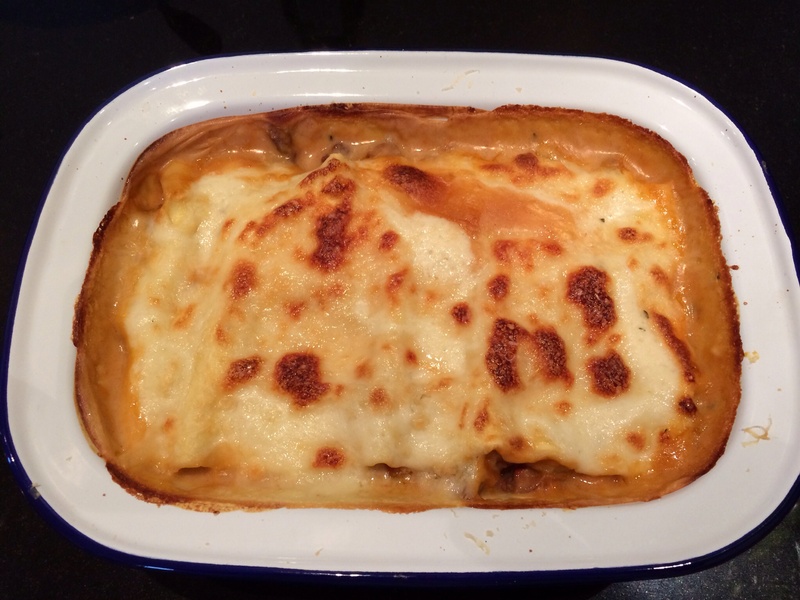 Take your lasagne dish and add a third of the meat to the bottom of the dish. Try and retrieve the star anise as you go! Cover with one sheet of lasagne and then a third of the cheese sauce. Add another layer of meat, pasta and sauce, and repeat. Finish with the layer of cheese sauce. 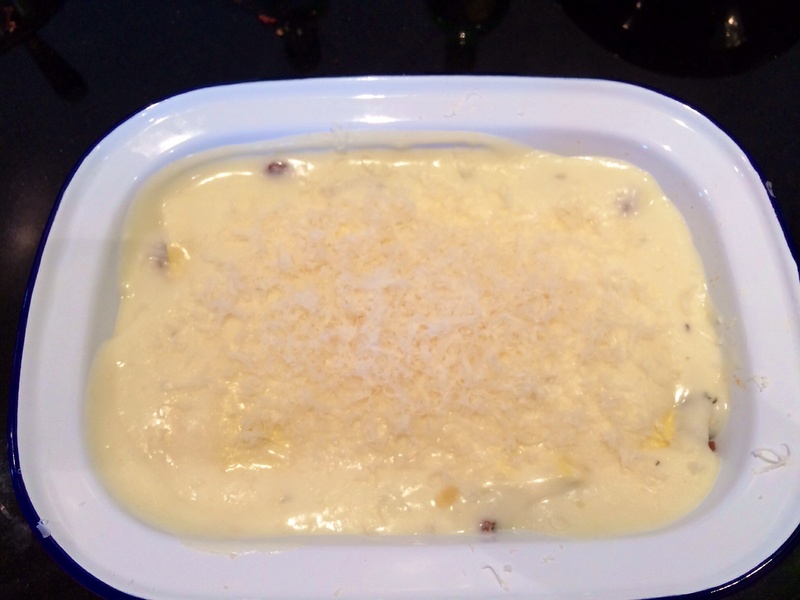 Sprinkle the remaining cheese on top and bake in the oven for about 30 minutes, until the top is golden and bubbling. Serve with some green salad or quickly sauteed courgettes. ← Apple and cinnamon flapjacks. I've put these together because I'm not really a red meat eater. 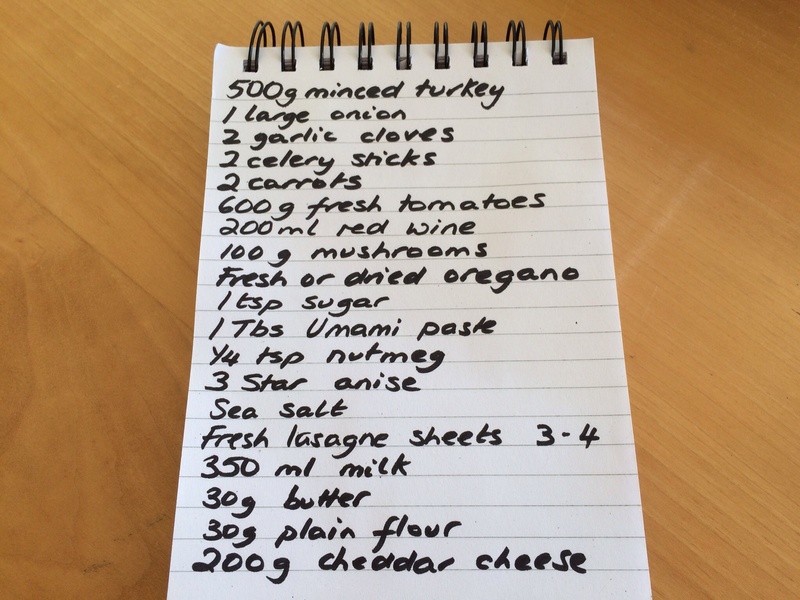 So I've used turkey mince when beef or lamb mince could be used (if you prefer to do so), for example in a lasagne or burger.